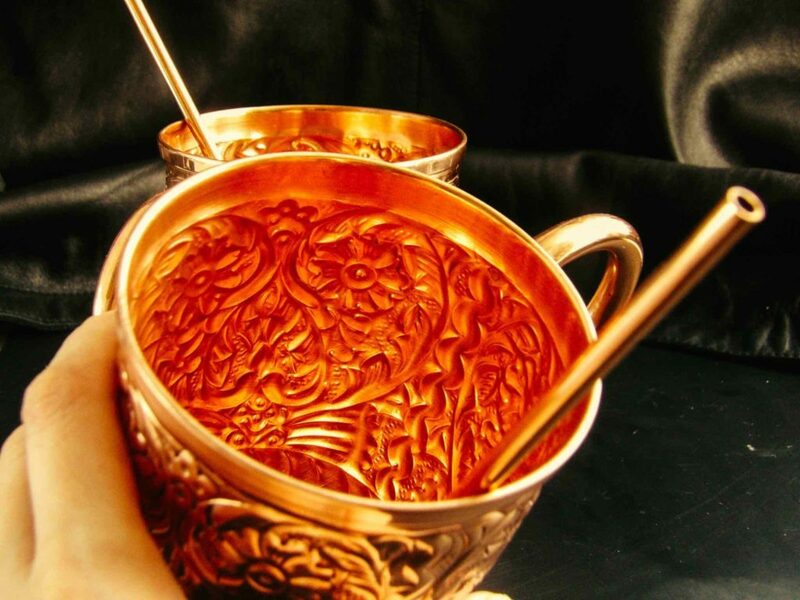 This Kamojo Gift Box Set is a set of two copper Moscow Mule mugs. Moscow Mule Copper Mugs are the best way to serve the Moscow Mule drink. A favored drink for when the weather is hot and muggy, a Moscow Mule served in a copper mug is especially delicious. And the Moscow Mule is a great drink for entertaining because it is a tasty melody of flavors but easy to mix. Mules are perfect for a hot summer afternoon party, BBQ or picnic, especially since carrying around a cool beverage in a copper mug is refreshing in of itself. 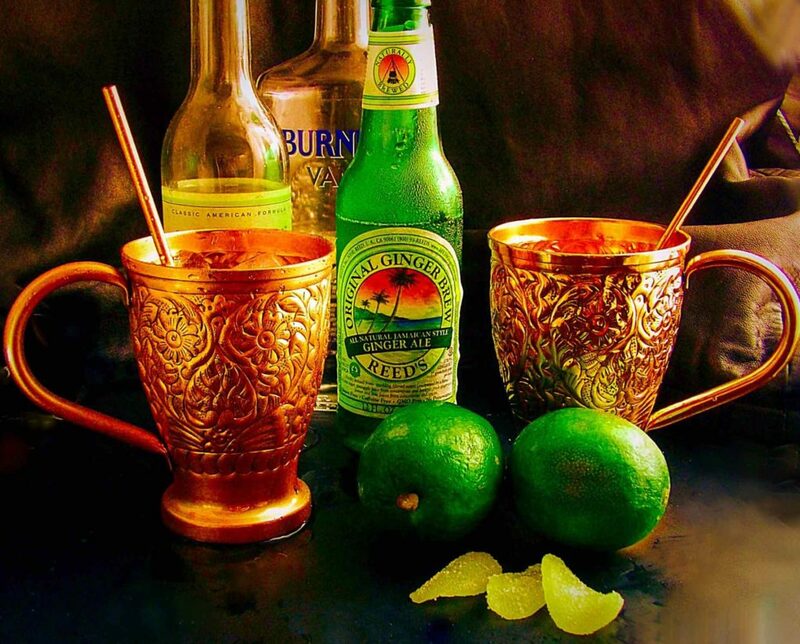 WHY USE COPPER MUGS FOR YOUR MOSCOW MULES? A classic drink should have a signature style glassware. Martinis, margaritas, champagne, or a scotch: the classics all have their signature style unique glassware. 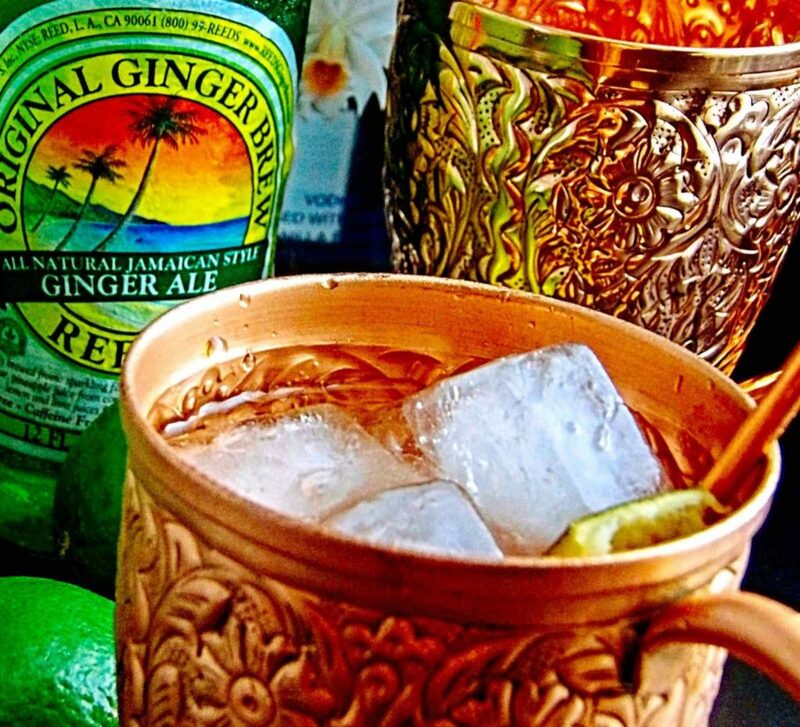 But a copper mule is more than just the decorative component to a Mule drink; it MAKES the drink. Simply put, the copper keeps your ice-cold drink cold, as in super crazy cold, despite the hot weather and your warm hands holding your drink. Part of what makes any Mule-category of drink so tasty is the iciness of the drink. Both Moscow Mules and Kentucky Mules are especially refreshing when served ice-cold. 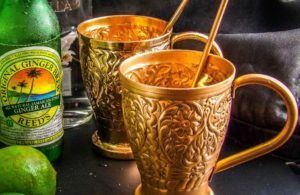 While you could have a Moscow Mule or a Kentucky Mule in a regular glass, the mug is part of the fun, and it is large enough to hold the volume of the drink. But most importantly, it chills to the temperature of the drink almost immediately and keeps it cold. Copper also tends to bring out the flavor of the ingredients. Copper also is very pretty on a tablescape and complements the look of modern, eclectic, urban and traditional decor or table setting. In addition to being very well constructed and much prettier than many of the copper mugs available, this particular set of KAMOJO Moscow Mule Copper Mugs has the distinct advantage of a protective coating. It is a maintenance-free alternative to traditional copper that can quickly dull or tarnish. The protective lacquer keeps the beautiful luster without the work of regularly polishing the copperware. It also, in my opinion, made them much easier to clean after each use. The handles are secure, and the mugs are steady. The copper is not thin or a veneer, it is a good solid set of copper mugs. Something else I like about these Kamojo Copper Mugs is they are more stylized and attractive than many mugs, they have a larger, easy-to-use handle, and they are easier to grip in the hand. Thi set also comes with a lovely set of copper straws for mixing. For Ginger Beer, you can use Ginger Ale from the same traditional vendor (Reed’s) for the same sharp ginger taste without the alcohol. Minimum of 4-6 ounces in the mug. Chill in advance. For Lime Juice we did fresh squeezed and kept the pulp for some extra tanginess. Ice. OPTIONAL: Add lime juice directly into your ice cube tray when freezing to retain the flavor tangy even when the ice melts. Fill the Moscow Mule Copper Mug with ice cubes. Pour in 1 1/4 oz of vodka then fill the rest of the mug with the cold ginger beer or ale, about 4-6 ounces, to taste. I like to use a lightly sweetened flavored vodka since the ginger and lime are both tart and the vodka can be strong. I choose a vanilla vodka because the vanilla brings out the ginger taste while still being sweet, but it is just your preference, you can also just use Simple Syrup to taste. CONCLUSION: Copper Mugs can make or break a good Kentucky Mule or Moscow Mule drink, the copper reacts well with the ginger and vodka to create the best flavor, and the copper keeps your drink ice-cold to the last savory drop. These Kamojo Copper Mugs are very attractive, sturdy, easy to use set of mugs. And they are easy to maintain because of the protective coating; the copper retains the beautiful luster. Find these great mugs at Amazon.com and visit Kamojo’s new website for more information!